I am overwhelmed! There I said it. In spite of reading those nicely written articles on how to survive the holidays without stress, my chronic pain condition is getting in the way of my Christmas preparations. My house is not clean, gifts are unwrapped, and everything is in general disarray, including me. On Christmas Day, my house, normally a relatively quiet abode for three, will be filled with 17 1/2 people, 5 1/2 of them children. (A manageable number for many, but for anyone with chronic pain or other illnesses, it may as well be 50.) In my mind, I can already hear the cacophony of seventeen voices, Christmas music, the television, the Wii as the kids try out their newly gotten games, and the sound is deafening. 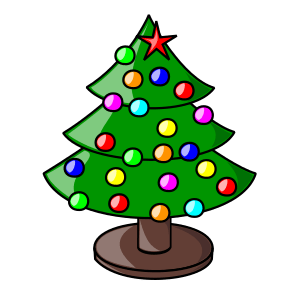 As a child, Christmas was my favorite holiday; even though I was regularly short changed in the present department because my birthday happened to fall five days before Christmas. It was the only day of the year that I did not remember that we were “poor” by most standards, because my Mom struggled to give us everything that we’d really wanted. After Christmas mass, all the family converged on our house to gather together to celebrate the day. Everyone was happy, laughing, joyful (probably because of those hi-balls)–and loud, but I’ve always treasured those days and longed to replicate them. Christmas is still my favorite holiday and I can see now that my prayers have been answered. (Be careful what you wish for because you might get it.) In three days, I have the honor of hosting my family’s Christmas celebration. Yes, it will be stressful, but I can make it less so by remembering what is most important; that is, spending time with the family instead of rushing about trying to make everything perfect, an impossible feat before my illness, and more so now. The pain will be there, it always is, but this Christmas, it is not taking center stage. At this point, I’m just grateful that there won’t be 50 family members in attendance. Have a very happy and safe holiday. Merry Christmas to you and your family! This entry was posted in celebration, Christmas, overwhelmed, stress. Bookmark the permalink.